If you're in between sizes, we recommend ordering up. 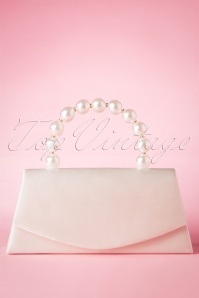 The fabric has a light stretch, but the waist band doesn't stretch. 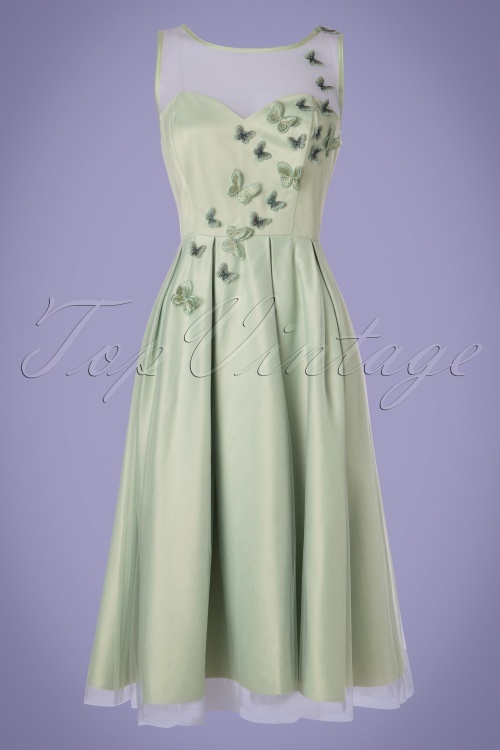 You'll be the Belle of the ball in this 50s Tiana Butterfly Occasion Swing Dress in Mint Green! 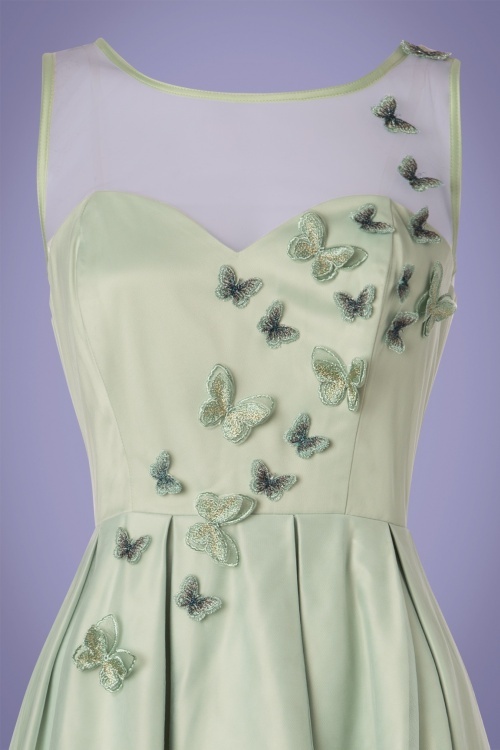 Whether you wear her to a gala, a wedding or some fancy party... you'll always look enchantingly beautiful in this mint green beauty! The princess style sateen bodice features a stunning sweetheart neckline, a V-back, boning for a perfect fit and a sheer upper layer made of tulle that playfully covers your neckline. 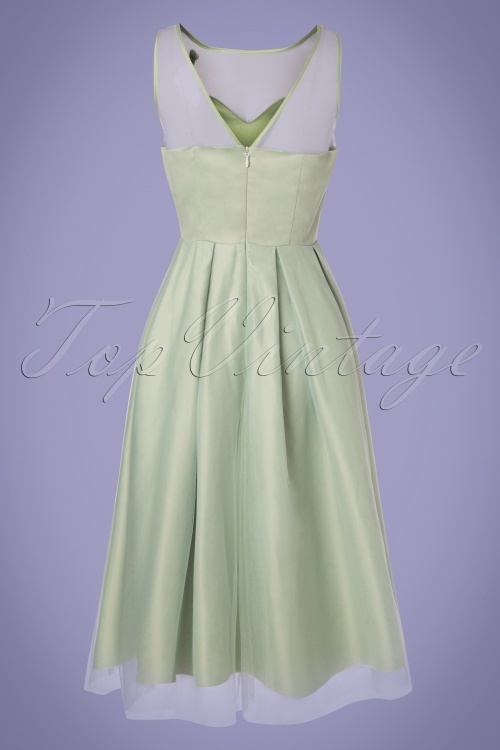 This dream dress flows from the waist down into a full swing skirt and extra body is added by several layers of tulle and an underskirt made of sateen. 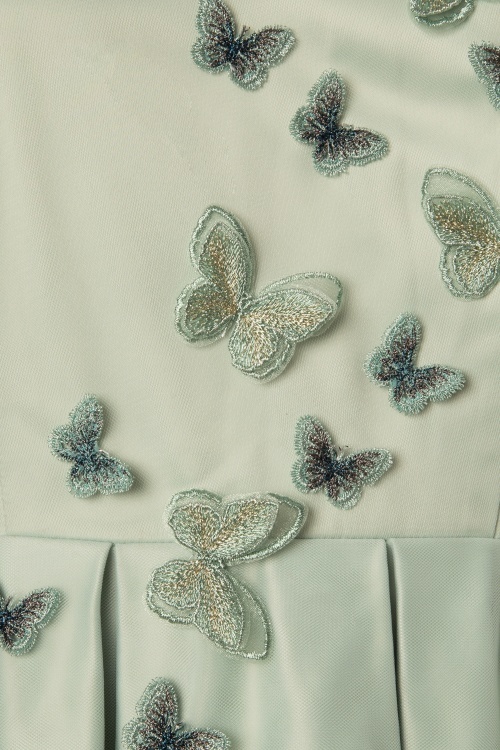 The 3-D butterfly appliqués provide the perfect finishing touch. Always be like a butterfly. Pretty to see but hard to catch!